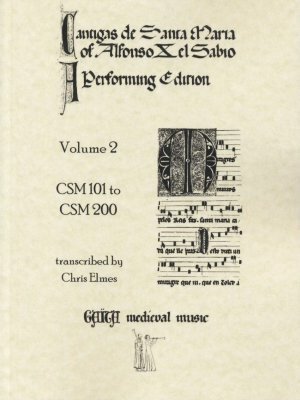 This series (four volumes in all) contains new transcriptions of the famous Cantigas de Santa Maria of Alfonso X, el Sabio. The transcriptions are based chiefly on the Escorial 'Codice Princeps' manuscript (E1). 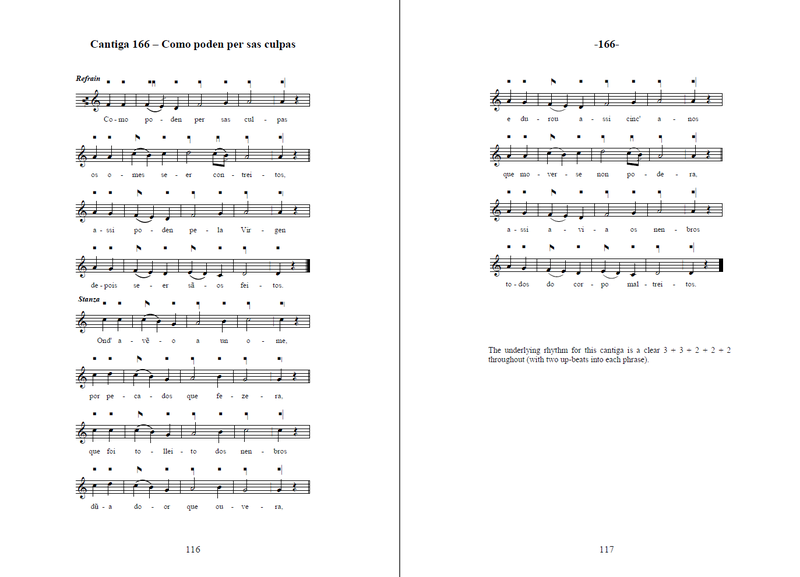 Each cantiga is printed with the note-shapes from the manuscript above the modern notation to aid the understanding of the period notation. This also allows performers to develop their own transcriptions for performance.